During the course of a paramedic’s average day in the field, he or she will find themselves faced with a need to perform drug calculations. While there are only a few select types of pre-hospital calculations that will be necessary to perform, they are common and absolutely necessary in many cases of patient care. It can be especially challenging for those paramedics that are mathematically challenged. Regardless of mathematical skills, an ability to perform paramedic drug calculations accurately is essential to emergency patient care and is one aspect of field work a paramedic should not take lightly. There are several types of calculations performed daily by paramedics, all of which are clock-based, which simply means that each rate in the equation is based on a per-minute rate. In addition to these four aspects of emergency patient care that will require drug calculations to be preformed, there are four commonly found drip sets paramedics will come across. They are divided into two categories that include Mini-drip and Regular Drip. Within the Mini-Drip category, a Micro-drip refers to pediatric calculations used when dealing with children. In the Regular Drip category, paramedics will find such concepts as the Macro-drip as well as adult sets used on standard BMI patients. If paramedic students take a moment to read through some of the paramedic job descriptions many companies and hospitals produce, they will find that an ability to perform drug calculations are among one of the highest requirements next to passing the NREMT exam. The exam will also require students to perform drug calculations, so passing the test will also require an acute understanding of the concepts involved. The key to correctly performing drug calculations is to practice and study. The more practice a student does, the more comfortable the calculations will become, making field work less stressful. In order to become a paramedic, these calculations are essential both while taking the NREMT exam and working in the field. There are multiple sources online in addition to course content to assist paramedic students in becoming comfortable with drug calculations used in the field. Practice tests, quizzes and easy to create online study materials as just a few of the excellent resources paramedic students will find to help hone their skills in this challenging area. Testandcalc.com offers articles related to drug calculations written by professionals in the medical field for additional information and how-to tips for students. Though use of the site requires registration, the benefits are an excellent source of materials. In addition the site features the ‘Quiz Club’ with over 5,000 questions related specifically to drug calculations. Possible iPhone applications may be added in the near future for studying on the go. EMS SEO is an excellent resource for students to read up on expert advice involving drug calculations. The site also offers online training in specific areas of paramedic work and includes an online workbook for students to use for additional study. The news and information sections provide informative articles on all aspects of paramedic work with real life, practical advice invaluable to students. YouTube.com offers free online tutorials produced by both individuals working in the field. Cram.com offers online flash cards specifically for drug calculations found on the NREMT exam and used in daily in the field. Practice tests are also available for even more study. OldWeb provides some excellent advice for prospective paramedics as well as those already working in the field. The site also stresses that if you don’t use the skills, you will lose them, and recommends practicing even though many drugs are coming in pre-filled syringes. The site offers short informative articles on drug calculations and recommendations for further practice. The problem: A paramedic is ordered to administer 4mg of morphine IVP. On hand is 10mg of morphine in 2cc’s. 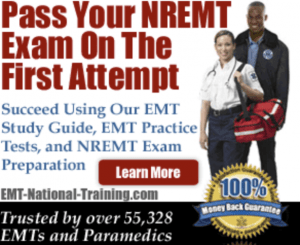 It is important that students practice calculations to assure they are not only prepared for NREMT exam questions, but for actual work in the field after accreditation. Another excellent way to practice and study drug calculations is by learning from other medical professionals. An excellent series of tutorials found on YouTube have been generated by a practicing RN. Named NurseNacole, you can view one of her very helpful videos where she runs down the basics of dosage calculations here. Students will also find helpful resources from sites such as EMT City, where paramedic students and professionals alike come together to share advice in regards to many aspects of the emergency medical field on topics such as drug calculations. Even after a student passes the NREMT exam and continues onward to become employed in the paramedic field, continued practice is essential to proper patience care when it comes to drug calculations. Devote some time, even if only once a month, to the continued practice of common calculations through online resources such as free practices exams. You can also read our article on Paramedic Drug Cards that you can use to study for the NREMT examination. 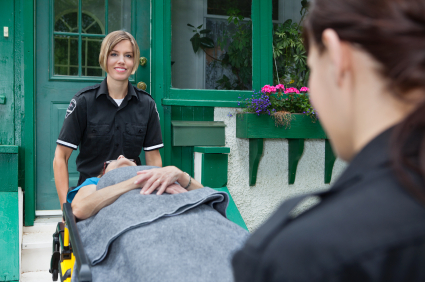 And always remember that our paramedic school page provides you with a list of accredited programs you can apply to.